An erect biennial with spines on the leaves and stems. 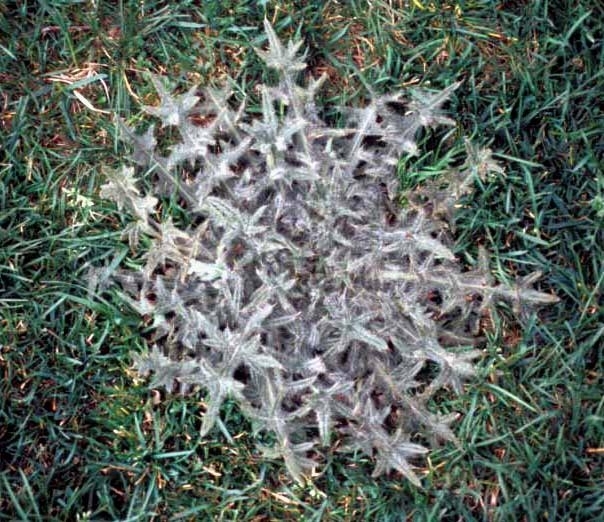 Found throughout the United States, primarily a weed of pastures. 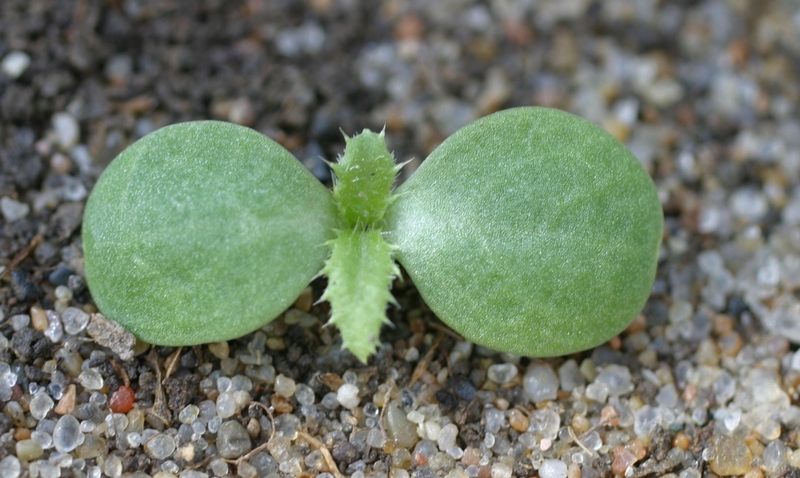 Cotyledons egg-shaped, young leaves develop as a rosette. Leaves are oblong with small spines along the margins. Second true leaf and subsequent young leaves contain many hairs on the upper surface. Arranged alternately on the flowering stem, lanceolate with deeply cut margins and stiff spines on the lobes. Leaves are coarsely hairy on the upper side and contain softer whitish hairs below. 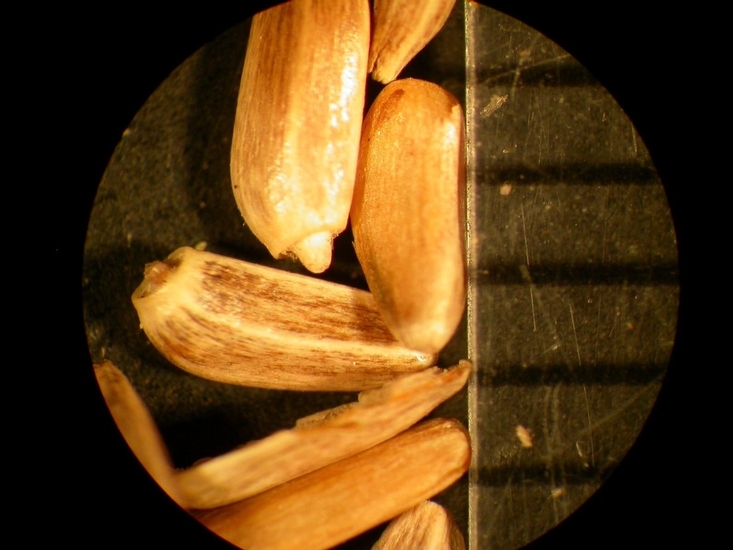 Leaf bases continue down the flowering stem. Clustered or solitary at the ends of branches. Flowers are 1.5-2 inches wide, rose to reddish-purple, and surrounded by spiny-tipped bracts. An achene (3-4 mm long). 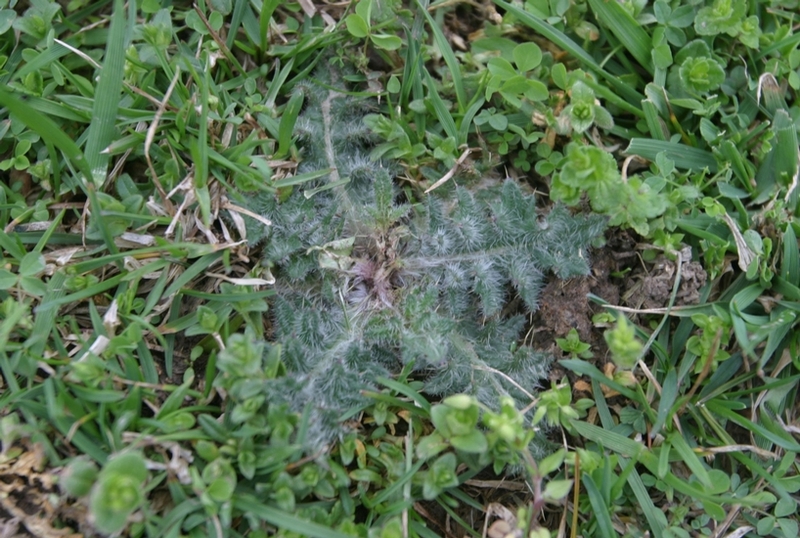 Spiny-winged stems and leaves with rough hairs on the upper surface and softer whitish hairs below. 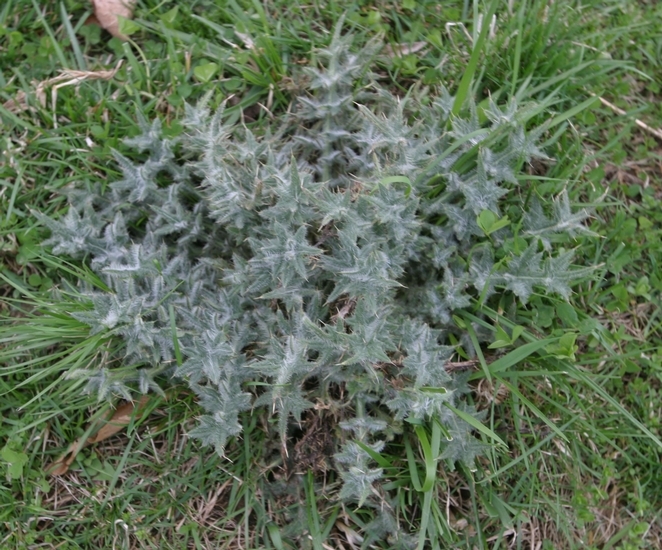 This weed is often confused with Musk Thistle (Carduus nutans), but the leaves of mature musk thistle plants usually lack hairs. 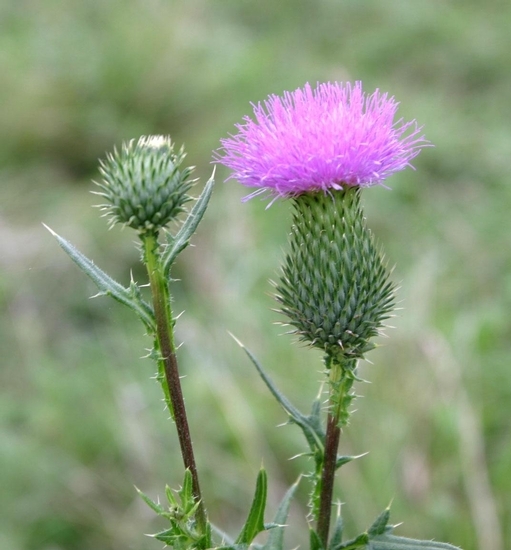 Additionally, Canada Thistle (Cirsium arvense) is a perennial from rhizomes, and young plants do not develop as a rosette, unlike bull thistle.